Welcome to DepED Community !!! The final draft of the new Implementing Rules and Regulations (IRR) of the Continuing Professional Development Law of 2016 (CPD Law) has been released. 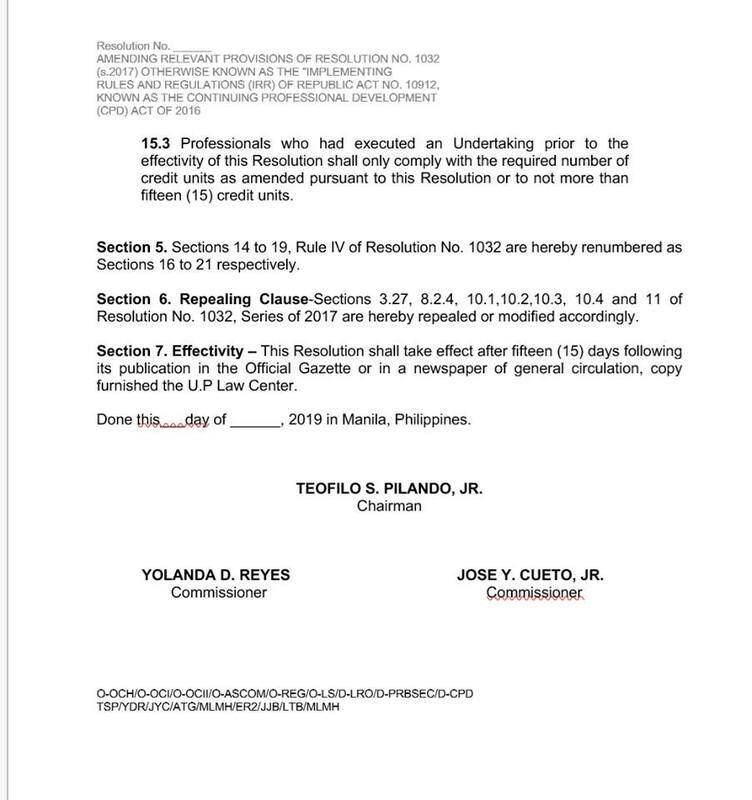 On February 4, the PRC announced that it will temporary lift the total enforcement of the CPD law for an indefinite period. 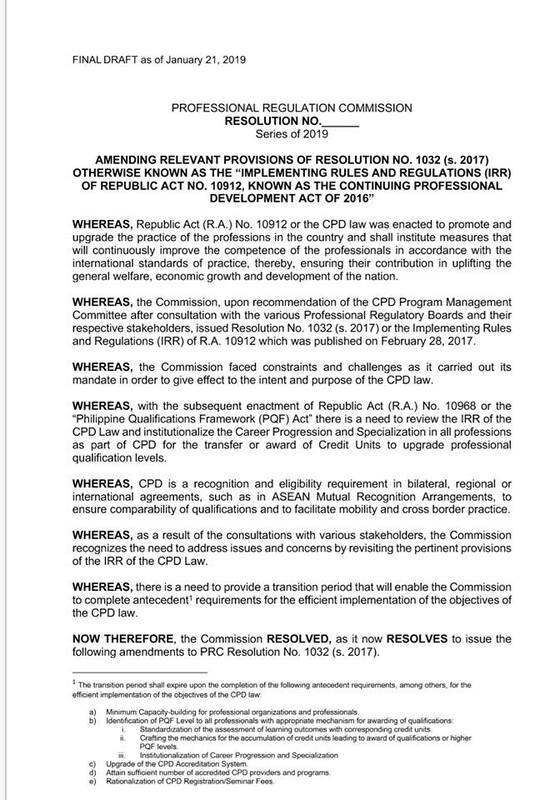 Until the new IRR is released, newly licensed professionals and OFWs are exempted from complying with the CPD requirements, under the transition period. Meanwhile, all councils were directed to reduce the requirement to just 15 CPD units. 1. CPD is still a mandatory requirement for all licensed professionals. However, the number will be decreased to just 15 units every 3 years. 2. 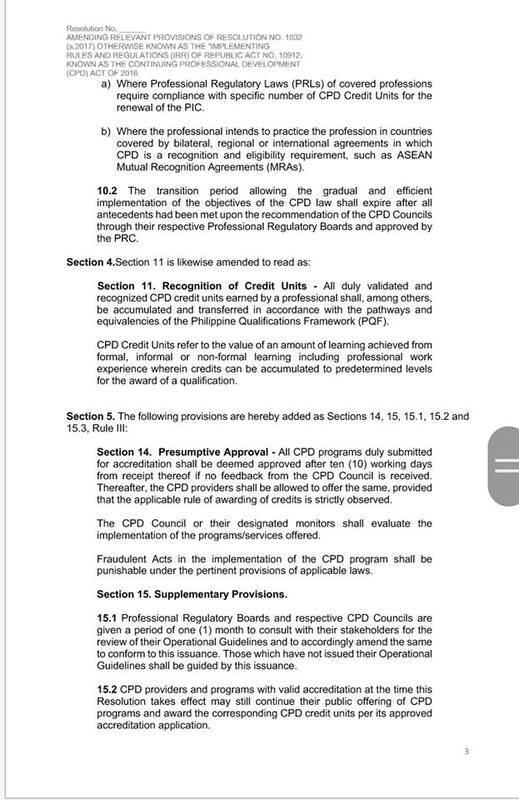 For teachers, CPD forms will be aligned with the DepEd to lessen the burden of paperwork. 3. 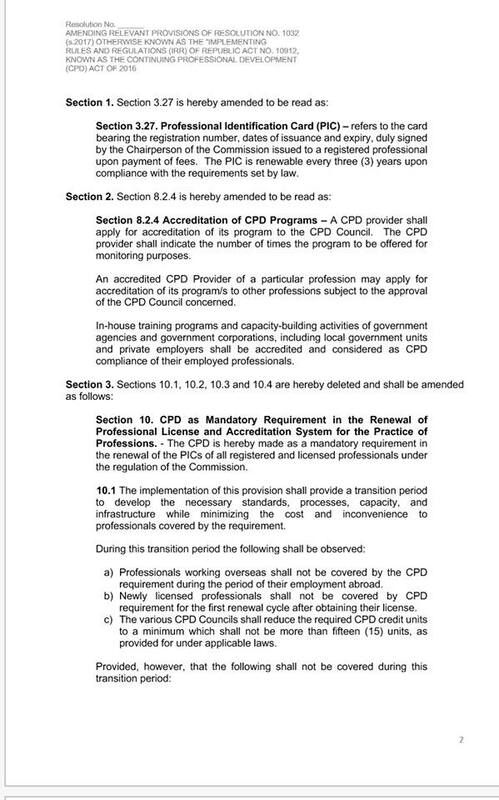 In-house training and capacity-building activities of government agencies and corporations, including local government units and private employers shall be credited and considered as CPD compliance. We, the admins and the writers, do not claim ownership on the documents/photos/videos posted on our site, yet we personalize our contents or articles to give relevant quality issues. All documents/photos/videos are only hosted by third parties as Google Drive. If you found respective copyright and wish for the documents/photos to be removed or taken down, feel free to contact us via e-mail at depedcommunity@gmail.com, and all your copyrighted works will be taken down as soon as possible. If you are the original author of any of the files LINKED here, please let us know so that we can acknowledge you better. Thank you! LIKE our PAGE for more Updates!